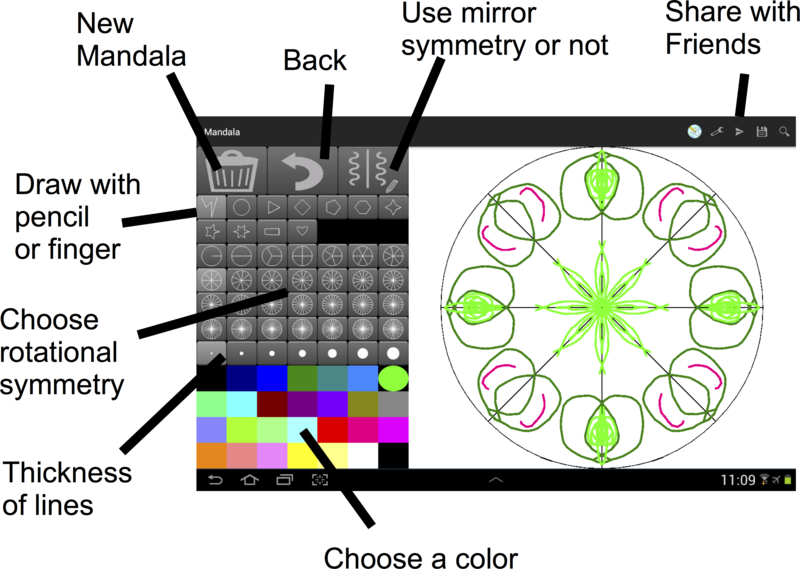 Draw your own Mandalas using your Android Device. Print them and paint them later by hand and pencil, or share them with your friends. Symmetric figures are fascinating anyway. But with Mandala Maker, you can do more: You may use different symmetries in the same drawing. In this way, kids may even discover and use divisors in an intuitive way, without knowing about divisors at all: e.g., choose 6-fold symmetry to draw a nice Mandala, and then paint three of them in red by using 3-fold symmetry. 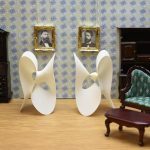 You may also combine rotational symmetry with mirror symmetry if you want. Get creative! Download via: Mandala Maker in the Google Android Play Store.